Special Presentation - View the Replay! It's the people in our ACE Community that fuel our Spirit. We wouldn't be here without the support of some of the most amazing people we could ever cross paths with. Forums Our Forums are a place for Students, Practitioners, Alternative Practitioners, Health Workers and amazing people like you, to come and ask your questions and share your experiences with ACE, your health issues, and to grow together. Affiliate Team We have an incredible Affiliate Team that shares all ACE related programs .... perhaps maybe even one day, Your programs, trainings or products! 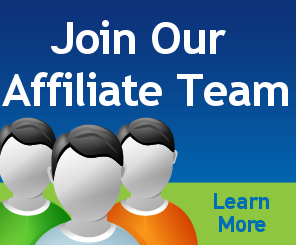 Check out this fantastic program and Join our amazing Team of Affiliates around the world. We're never sitting still with trainings happening worldwide and online, webinars, seminars, book signings, professional and personal development opportunities and much more. Check out our Event Schedule for upcoming events happening soon! Defying the odds, Erin Elizabeth (Dr. Mercola's partner) shares her story of survival after discovering she had Lyme and a vaccine injury, almost taken out by (more then once) natural disasters, living through her own abortion, reversing a breast enhancement with 6 hours of surgery and other events. Erin's story is not your every day story. She has faced many events in her life that have induced stress on her body over and over. While not a typical story, there are many people that can see themselves in part of her story and can relate to her struggles to regain health and happiness. In her video, she shares how you can get a copy of her free book and auto biography which explains exactly how she overcame her own many personal health battles and lived to tell her story. You can also access more information about her book here. Some people may experience only one major event in their life which affects their health while other's may face a series of events throughout their life and never face health issues. In Advanced Clearing Energetics® we come to understand how stress places a major role in our future circumstances by how our body reacts to the stressors placed upon it. "Any event that has a lot of stress behind it causes the body to react in a way to support it through the issue. What is not clear is that when we experience an event, it affects us in many ways, not just physically. Normally, we're unaware of what is happening to us physically after the stress hits, but what can notice are other effects, which show up on multiple levels." ACE can explain why people who experience the very same or similar events can have 2 completely different results. One person could be traumatized and face a serious of health issues, while another person can go through the situation completely unscathed. In the following video, Richard Flook explains the criteria behind almost every disease, pain or sickness. When these 4 elements are met, the body makes a decision on what area of the body is best suited to "handle the situation". Learn more about the criteria behind why we get sick, feel pain or get a chronic disease by watching our introductory video with Richard Flook, a 48 minute FREE Presentation or checking out our Certification Courses to learn the basics of the ACE Strategies. How much can the body take after experiencing so many stressors on it? Do you think Erin is simply lucky to be alive to tell her story or is there a greater lesson beneath her survival? Thanks for watching and reading and please Share your comments below. Richard also had a Lyme disease scare many years ago and has put together a video on Lyme Disease that explains this disease and how it presents itself in the body and how you can begin your journey back to health. Receive the Introduction to ACE Video and our free health ezine. Include your email below to Get instant access to the Free 48 Minute Video "Introduction to ACE" and a link by email to watch this special presentation in your own time. Richard Flook is an expert on stress and disease with a focus in Alternative and Integrative Health with an extensive background in Integrative Health Coaching, Energy Therapies, EFT, NLP, Timeline Therapy, and Hypnotherapy. His extensive work within these fields includes training 1000's of top blue chip company/corporation executives, medical and alternative practititoners. He is also a highly sought after speaker and health coach. His 20+ years of research and advancements in these fields lead him to discovering the strategies he calls "Advanced Clearing Energetics"(ACE). These strategies help uncover the root stress of an illness and assist the client to clear out the energy behind those stressors and rapidly increase the healing process. ACE can be used with any medical or alternative modality. His Revised book, "Why Am I Sick - What's really wrong and how you can solve it using Advanced Clearing Energetics" was released through Hay House Publishing in July 2013 and he is currently working on his 3rd book.